Last September 26 was the 7th anniversary since Typhoon Ondoy struck the Philippines. 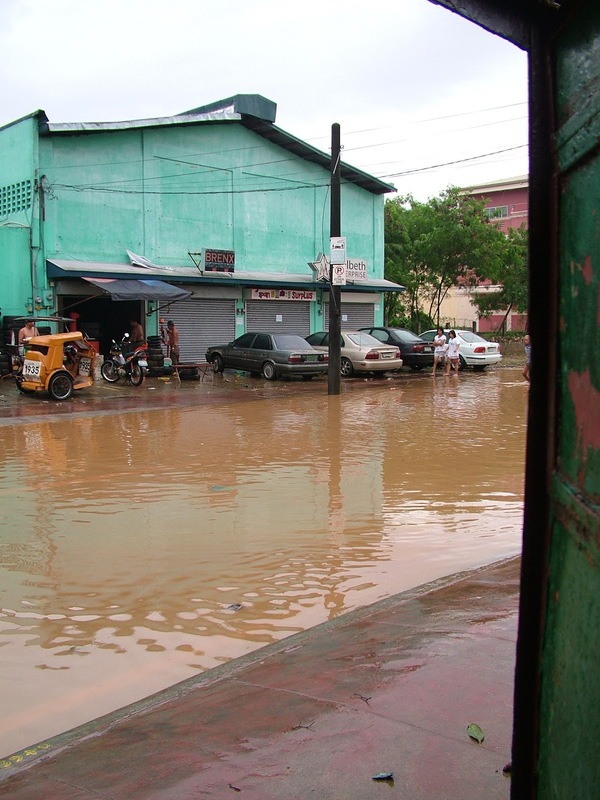 For Marikina City, it became one of the horrific typhoons because of the non-stop heavy rains it brought causing severe flooding in most parts of the city. I remember clearly it was a Saturday morning and raining. Being from Marikina, you usually are alert to monitor the rains especially if it's non-stop due to floods. When we saw the first sign of flooding at the street level, we weren't very alarmed since it takes time before the waters would rise from street to sidewalk and if ever, inside the gate and in our experience, water usually subsides even before it would reach at an alarming level. 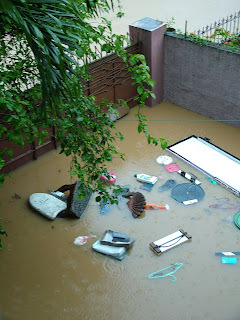 Living in Marikina, we've experienced floods from time to time and know the drill. 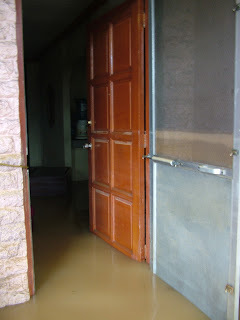 The highest floods in the past years prior to Ondoy measured only up to around 3 feet high inside the house. This was also one of the reasons why we had a 2nd floor built. So it was a real surprise that even though the rains lessened in downpour, the water was still rising. And in less than an hour, flood water started entering the house flowing as fast as a fountain. All of a sudden, everything became a priority. We had to figure out where to put our 3 dogs who were stranded on top of a table. We had 2 cars that were slowly being submerged till rooftop. We had a huge refrigerator that suddenly became afloat and looked like a boat floating from kitchen to dining room and we had to avoid from being hit by it cause it was heavy and filled with food. 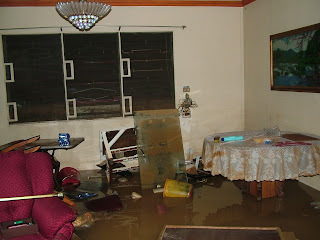 We had to cut off electricity cause the wall electricity outlets were just about to get submerged in flood. We had to save food from getting wet and spoiled. And we had to all move upstairs for our safety. 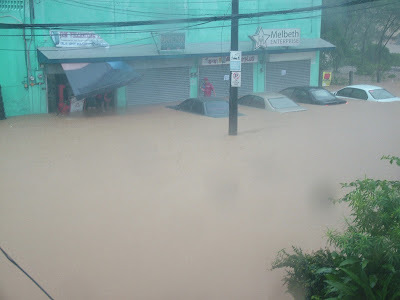 We had to do a lot of things but couldn't because of the swift speed the water level was rising to. If this wasn't bad enough for us, we knew that this was the same scenario for all of our neighbors who were experiencing the exact same situation feeling the effects which Typhoon Ondoy brought. So nobody could help anybody else. 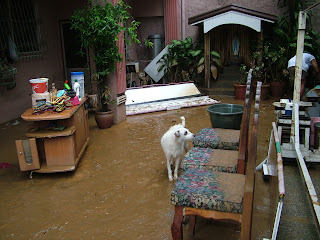 The flood water reached up to an all time high of over 5 feet inside the entire first floor of our house, and even deeper outside. 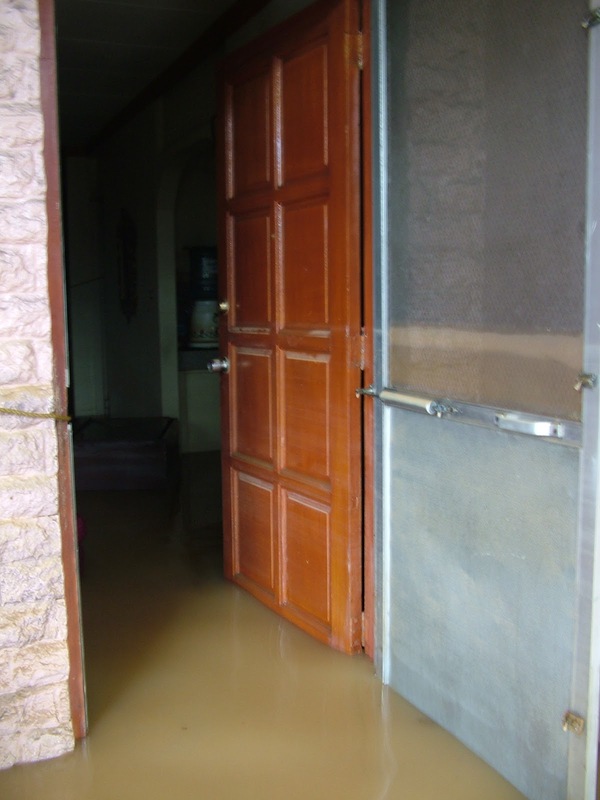 The sheer volume of flood water inside the house practically made the doors almost impossible to open or close. A lot of our belongings were soaked. We all stayed upstairs only equipped with a radio as our source of what's happening elsewhere. We heard that Marikina River transformed into a Raging River and which overflowed and spread to the riverbanks including Provident Villages, which we heard experienced up to 10 - 20 feet of flood water in the entire village. An array of emotions spun around us but by this time, we were basically physically and emotionally drained. We prayed for our safety and for the safety of our other family and friends who may have been affected by Typhoon Ondoy. 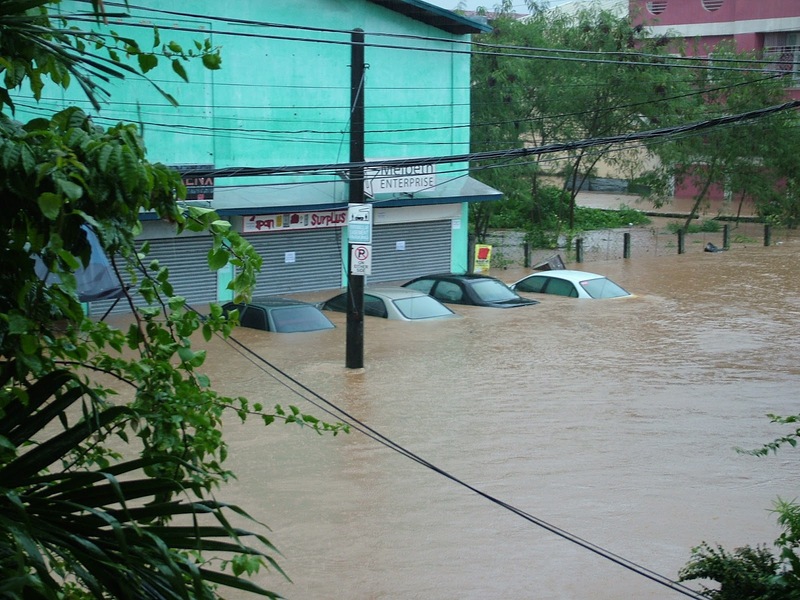 It took hours before the floodwaters finally subsided and what was left was devastation and destruction of property everywhere. The next day, all the neighbors were cleaning their respective houses. It wasn't easy to clean an entire house with mud, debris and trash. The long term aftereffects of Ondoy? We didn't have electricity for 1 month. We had to rely on donations for food not because we couldn't afford to buy, but because there was almost no store in Marikina that survived so there wasn't anything to buy. And the nearest grocery stores experienced hoarding and panic buying cause people needed to replenish damaged food and prepare since it wasn't the end of the typhoon season yet. Any sign of continuous rain thereafter was always a sign of concern and alarm for us and for Marikenos. It took a while before we eventually recovered and got back to normal. But the memory of Typhoon Ondoy affecting Marikina City will never be forgotten. In solidarity with the evangelization and acts of mercy advocacies of the Catholic Church and to translate corporate social responsibility initiatives into action, Mrs. Carmen Caday. 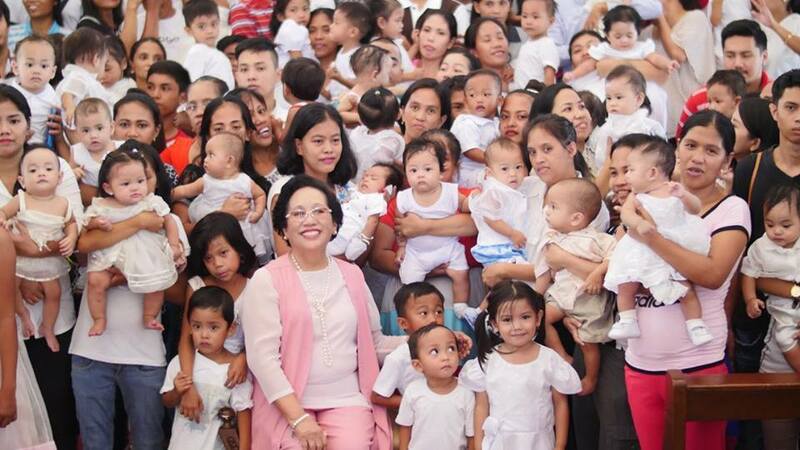 Salvador, President of OLOPS College, sponsored a Binyagang Bayan for children of deprived families in nearby barangays in celebration of her 75th birthday.. Eighty-four (84) children, a dozen more than the President’s age of 75 , were baptized by Rev. Fr. Rommel Felizardo of the Immaculate Conception Parish in appropriate rites held at the OLOPSC Chapel on Saturday, September 24, 2016. In addition to the mass baptism, OLOPSC also gave away gift certificates and served food and refreshments for the parents, ninongs and ninangs . Binyagang Bayan held last Sept. 24 at OLOPSC Chapel in celebration of the 75th Birthday of OLOPSC President Carmen Caday Salvador. Thank you Mrs. Carmen C. Salvador for your kindness.